French: Tourco ceinturй German: Brustband-Tapaculo; Spanish: Gallito Pardo. 7.7 in (19.5 cm); 1.4–1.5 oz (39–42 g). Upper coloring is dark gray-brown. Has narrow white brow. Sides of neck are gray. 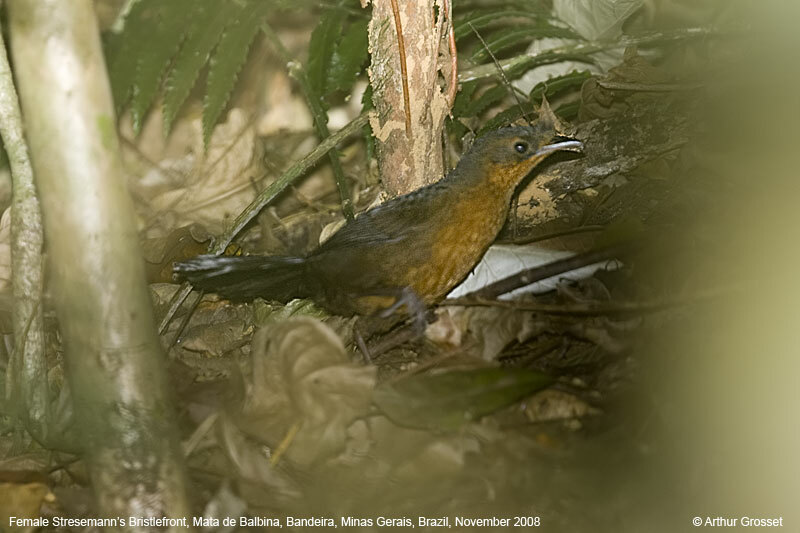 Throat and breast are white, bordered on the sides by a black line and with a more or less complete rufous breast band. 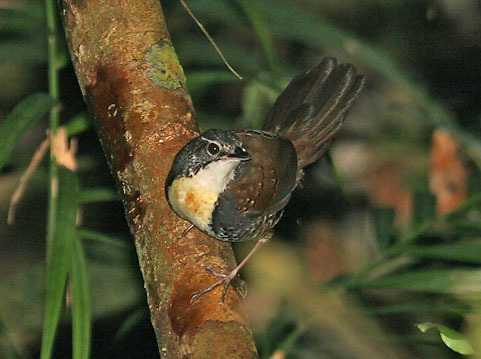 Belly is barred black, rufous and white. 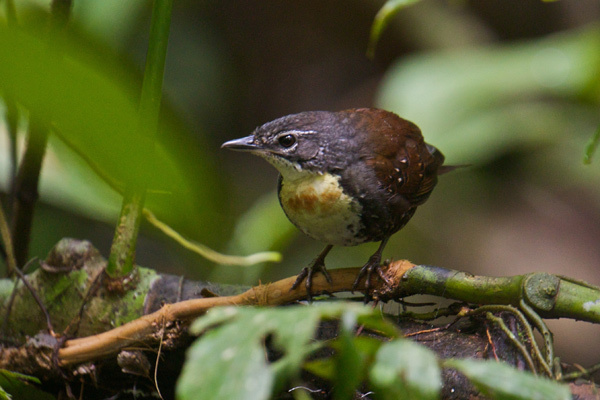 L. t. dugandi: Southeast Colombia and adjacent western Brazil on the Rio Solimoes. 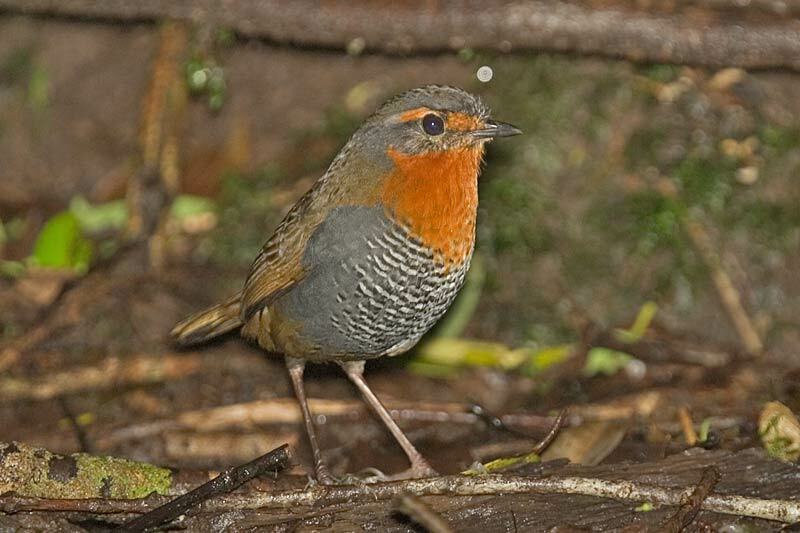 L. t. erithacus: From east Ecuador south to the mouth of Rнo Urubamba, eastern Peru. 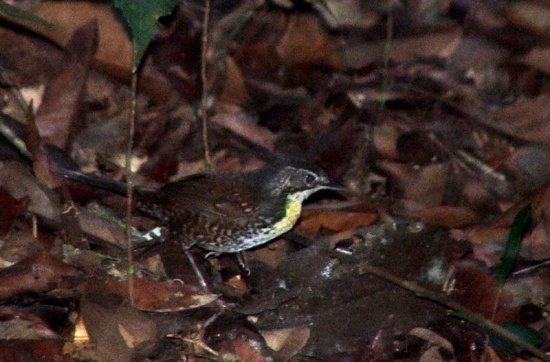 L. t. thoracicus: Southeast Peru and southwest Amazonian Brazil, east to Rio Tapajуz.